Trout Lake farmers market is hopping today! 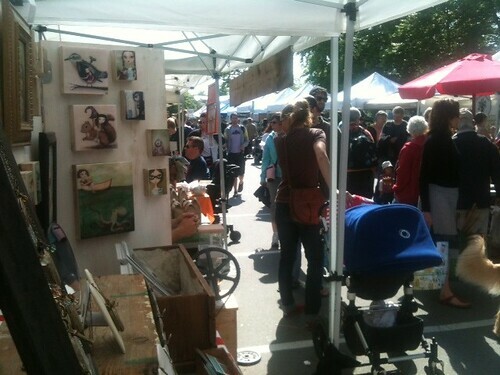 Trout Lake farmers market is hopping today!, a photo by acageybee on Flickr. > My first outdoor market of the season! I’ve already spent all my earnings on food stuffs & have my eye on a few new balcony plants too. Whoops!